Wei Zexi, from Shaanxi province, died on 12 April after undergoing expensive experimental treatment that he had learned about through the search engine of Baidu, China’s answer to Google. On Monday, amid growing public anger, the Communist party’s official mouthpiece, the People’s Daily, attacked Baidu for allegedly promoting potentially dubious medical treatments in its search results in exchange for money. […] China’s internet watchdog, the Cyberspace Administration of China, announced it was sending a team of investigators to examine what role, if any, Baidu played in the student’s death. The company’s shares slumped by nearly 8% after the announcement of that decision. […] On Tuesday Baidu said it paid “particular vigilance” to its “healthcare vertical” and had “proactively cleaned up the customer base” using measures including the careful screening of potentially misleading adverts. But an opinion piece in the state-run China Daily newspaper blamed the company’s “virtual monopoly of online searches” for the controversies and suggested that needed to change. To the question “What do you think is the greatest evil of human nature?” on Chinese Q&A site Zhihu (link in Chinese), Wei answered Baidu, saying he never should have trusted medical ads on the search engine. “I had no idea Baidu was so evil at the time,” he wrote.Wei said he learned of immune therapy from the Second Hospital of Beijing Armed Police, because it was the first paid advertising result on a Baidu search for treatments. The therapy aims to use cells generated by patients’ own immune system to fight cancer. […] Later he learned the CIK cell therapy he received is only in clinical trials in the US and has a low record of effectiveness—information that didn’t turn up high on Baidu’s search results. Part of the No.2 Armed Police Hospital was alleged to be contracted by the “Putian Clan”, one of the most notorious names in healthcare industry of China. Back during the days of 1980s, several local doctors from Putian of Fujian province decided to expand their small medical network outside of Fujian. At first, their primary strategy was to become contractors of individual departments within hospitals. Later due to more stringent regulation, they moved to establish their own private hospitals and clinics, which till now has a significant share within China’s healthcare system – it was by far the largest private healthcare service supplier in China if combined, stretching across all provinces and have multiple listed companies. But the reputation of the “Putian Clan” was quite negative – they were frequently associated with malpractices in advertising and overpriced treatments. Baidu used to have a close relationship with the “Putian Clan” hospitals, as they were one of the largest clients of China’s largest search engine. But the alliance has turned sour ever since the negative press coverage took place- Baidu has been constantly raising its bars to reject online ads of hospitals associated with the “Putian Clan”. One of its most recent disclosure in 2014 showed that out of the 13k+ medical service providers that were rejected by Baidu, more than 60% were actually associated with the “Putian Clan”. Baidu has in fact increasingly shown its discontent over the liability “Putian Clan” has brought upon its brand. In early April, the “Putian Clan”, via its official association, has officially announced it will cease buying Baidu online ads, ending its long-term ties with Baidu. Wei Zexi’s death, however, put additional salt in Baidu’s wounds. […] Businessmen from Putian, a city in Fujian Province, own most of China’s private hospitals and clinics. Their interests are united by the Putian Health Industry Association (PHIA), which represents some 8,600 Putian-owned private hospitals, or about 70 percent of China’s private hospitals. 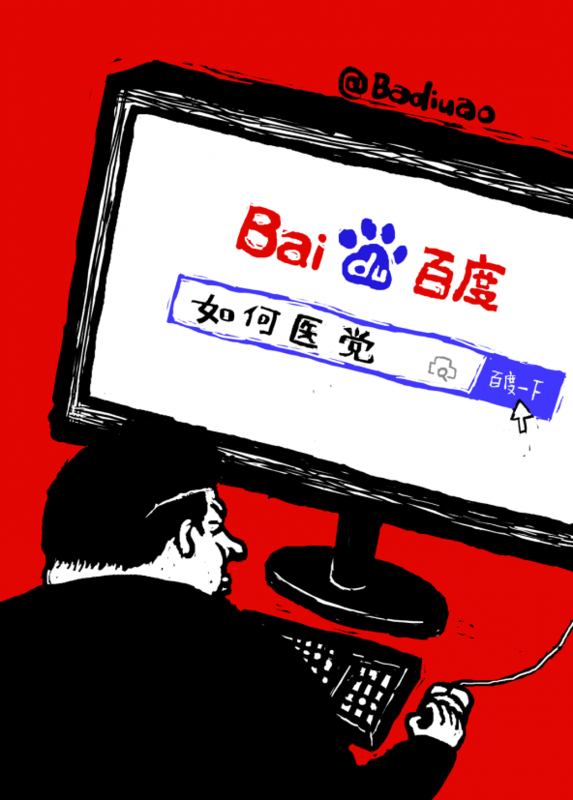 Many advertise widely on Baidu, and last year, using its collective influence, the PHIA boycotted the search engine, demanding an end to the annual aggressive price increases for keyword advertisements.